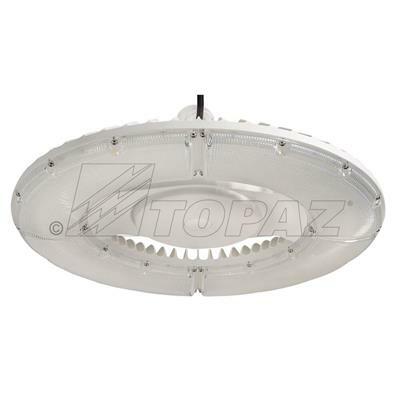 Topaz’s 150W High Bay Satellite Series luminaire is compact and lightweight for easy installation at 20 ' – 25 ' foot mounting heights. With its sleek design and 19,770 lumens, this fixture is perfect for warehouses, gymnasiums and production assembly areas. It has a shatter resistant IK09 rating and a salt spray corrosion rating. 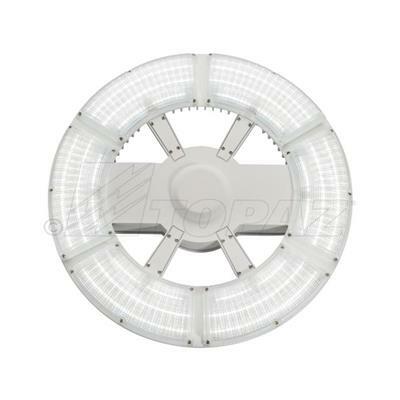 Its built-in cooling fins provide maximum heat dissipation making them suitable for high temperature applications. 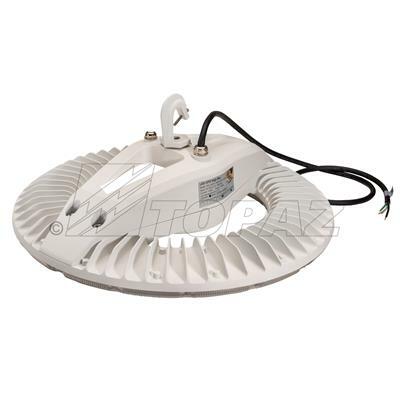 Use as a replacement for 400W HID.